An employee at Rock Bottom Discount in Northampton stole �2,000 from the till. An employee of a furniture store in Northampton stole more than £2,000 from her employer after she abused her knowledge of the till system in the store, a court heard. Victoria Wyeth, aged 40, stole the money over a two-month period when she worked at Rock Bottom Discount in Ashburnham Road, Northampton. 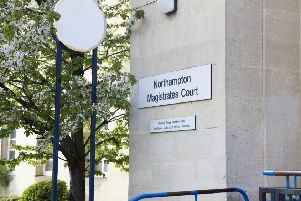 Northampton Magistrates’ Court heard Wyeth had worked at the store for 16 years, including 13 years as an assistant manager. Julie Costello, prosecuting, said all the till receipts would be taken in at the end of the day showing the total amount of cash taken and this would be checked against the money in the till. The process of creating the till receipt at the end of the day was known as ‘z-ing’ and Wyeth did this on a number of occasions after the first hour of trading and then pocketed the cash. Her theft was uncovered after another employee overheard the end of the day till receipt being printed early in the morning. CCTV footage in the store was reviewed and revealed Wyeth had stolen a total of £2,006 from her employer. Wyeth, of Artizan Road, Abington, Northampton, was sentenced to a 12-month community order. She must pay back the £2,006 and was fined £100. She must also pay £300 costs and a £60 victim surcharge.